Fire up the hibachi and cannonball into your next pool party with this inspired margarita. Flavors of almond and mandarin add a sweet, smoky finish to a warm-weather quencher. Test the waters with a spicy Caesar salad and grilled prawns, and the Splash will have you kicking off your flip-flops and diving into summer. Posted by Chronicle Books • Published 12th August 2010 • See Chronicle Books's 41 projects » © 2019 Lucy Brennan / Chronicle Books · Reproduced with permission. Fill a tempered pint glass with ice and add the tequila, Amaretto, lemon-lime juice, simple syrup, and Mandarin purée. Cap the glass with a stainless-steel cocktail shaker and shake vigorously for 10 seconds. Pour the drink and ice into a balloon wineglass. Garnish with lime slice. Serve immediately, with a straw. Fresh lemon-lime juice is essential to many Hip Sips cocktails. The key is freshness. 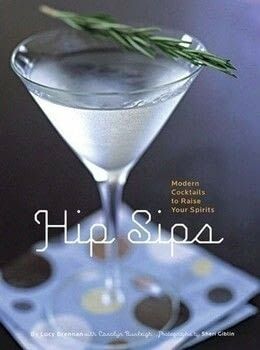 Remember that Hip Sips cocktails are based on fresh foods, not a liquid concentrate contrived in New Jersey by a scientist. Roll each fruit back and forth on the kitchen counter while pushing on the fruit to release the juices. Cut the fruit in half crosswise. Squeeze the juice into a medium bowl, using a handheld or stationary juicer. 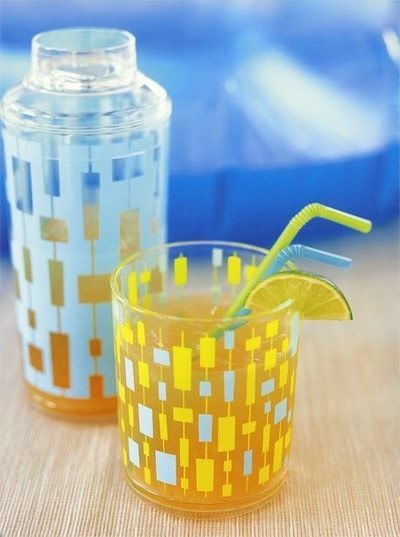 Combine the juices in a glass container and shake to thoroughly mix. Cover and store in the refrigerator for up to 48 hours. Used in many Hip Sips recipes, simple syrup is the binding agent for spirits, fresh citrus juices, and fruit purées and adds a subtle sweetness to cocktails. In a small stainless-steel saucepan, combine the water and sugar. Stir with a wooden spoon over medium heat until the sugar has completely dissolved. Remove from the heat and let cool to room temperature. Pour the syrup into a glass bottle with a pour spout. Cap, refrigerate, and use as needed. Combine the fruit, 1 tablespoon sugar, and 1 teaspoon lemon juice in a blender and pulse the ingredients until completely chopped. Purée until smooth. Taste the purée and add more sugar or lemon juice if needed. Use immediately, or freeze for up to 6 months.